Andy Murray put in a valiant effort against Novak Djokovic in the Australian Open semi-final, but still lost in what proved to be a thrilling, tightly-contested encounter. Djokovic, the world num ber 1 who had such a sensational year in 2011, had to produce some of his finest tennis to overcome the challenge from the determined Scot, who fought right until the final point. At one stage Murray held a 2 sets to 1 lead over the Serb, but Djokovic came back strongly, winning the fourth set 6-1 and then cruising to a 5-2 lead in the final set. However, Murray did not give up, breaking Djokovic to love when he was serving for the match at 5-3. Murray then went on to level the set and leave it finely balanced at 5-5. Djokovic proved too strong, though, saving 3 break points and then overcoming Murray’s serve to win the match. Although Murray once again lost in the latter stages of a Grand Slam tournament, this defeat showed promise- signs that he has the ability to challenge the very best. 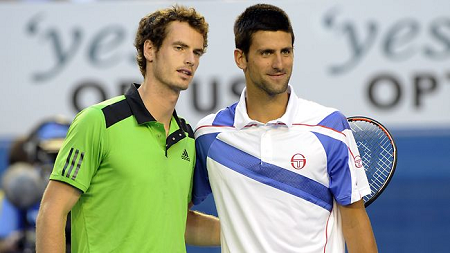 So, why is Murray unable to compete with Djokovic, Nadal and Federer and claim that elusive first Grand Slam title? There are a number of variables to consider. Firstly and most simply, luck. If a few extremely close calls had gone Murray’s way then the result may well have been very different. Luck plays a large part in most sports, but in tennis its role is massive. A few inches can be the difference between a win or a loss, a ticket to the final or a flight home. It is also important to consider that because Murray has not won a Grand Slam title before there is potentially more pressure on him. This is not to say that because Djokovic, Nadal and Federer have all won Grand Slams they don’t feel under pressure, as this is certainly not the case, but they may have more confidence in themselves as they know they have done it before. Federer and Nadal have far more experience in semi-finals and finals and can perhaps use this experience to control their nerves better in pressure situations. Djokovic has less experience, as up until 2011 he was in a similar position to Murray, still playing catch-up with Nadal and Federer. However, he is coming off an incredible run of form and, as has been proven time and again, winning is a habit which breeds further success and Djokovic will be hoping that it remains for a long time to come. Finally, Murray still seems to lack that certain something that makes the other three stand out. No one can doubt his commitment, his passion or his drive, but he still seems to lack that ‘X Factor’ that perhaps will come over time. Andy Murray has been heralded as potentially the first Brit in over 50 years to win Wimbledon, but, despite dramatic improvements over the last couple of years, he still falls against the big three- Novak Djokovic, Rafael Nadal and Roger Federer. However, in the first week of the Australian Open we h ave seen a more composed, more mature Andy Murray. Certainly, Murray has been maturing as a player over the last year and has shown significant improvements and a far better temperament. We have seen fewer moments where he becomes infuriated and berates himself, which has appeared to significantly affect how he performs in the past. The Australian Open represents his biggest chance to win a grand slam to date, something which has eluded him throughout his career so far. He has come very close to achieving this goal on three occasions, when he has reached the final of a grand slam tournament. 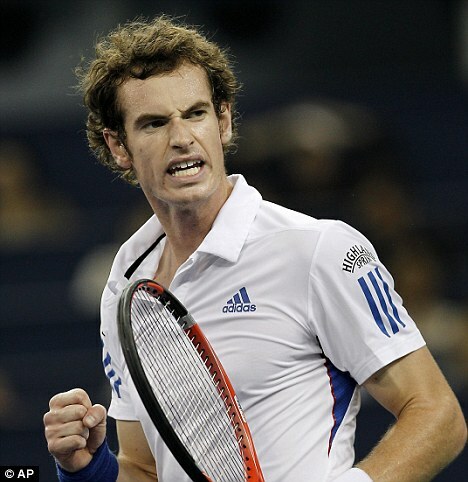 However, on this occasion, Murray appears to be a more finely tuned and effective player. Federer and Nadal have already booked a place in the first semi-final, having beaten Juan Martin Del Potro and Thomas Berdych respectively. Djokovic looks likely to join them, although he faces a tough test in the resilient David Ferrer, and Murray faces Kei Nishikori, seeded 24th, in a bid to seal the final semi-final place. Nishikori’s place in the quarter-final will come as a surprise to many, but, having knocked out 6th seed Jo-Wilfried Tsonga in the fourth round, he may prove to be a more difficult prospect than he appears. Murray has been in impressive and ruthless form thus far in the tournament, progressing with ease to the quarter final stage, defeating Ryan Harrison, Edouard Roger-Vasselin, Michael Llodra and Mikhail Kukushkin on the way. Harrison was the only competitor able to take Murray beyond 3 sets, before being crushed in the fourth. Murray labelled his victory over Kukushkin as ‘boring’, after the Russian was forced to retire in the 3rd set, but it leaves him well rested for his match with Nishikori, particularly as his match against Tsonga lasted for more than three hours. Murray looks to be in fine form heading into his clash with Kei Nishikori and, if he keeps this form up, who’s to say a first grandslam title can’t be achieved?